As one of the most important exterior features on any property, your gutters play an essential part in protecting your home. Whether you think it is time to upgrade the gutter system you currently have, or believe you need to replace what is broken or dysfunctional, you can count on Iron Horse GutterWorks to inspect and install a variety of superior systems for you. 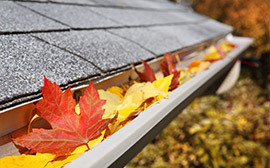 There is nothing more important to us than your gutter system. 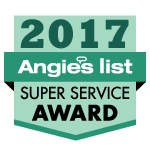 We strive to not only provide our customers with superior service, but high-quality gutter solutions that protect your home from mold, rot, and a variety of other water damage-related problems. From simple gutter cleanouts to drain and ditch installation, you can count on Iron Horse GutterWorks to be there for all your gutter needs. As the leaders in the industry, we take great pride in the work we do, providing our customers with reliable gutter systems that they can depend on. With a high value placed on customer satisfaction, we believe in doing the right thing the first time, taking care of everything for you. We make choosing to work with Iron Horse GutterWorks simple. 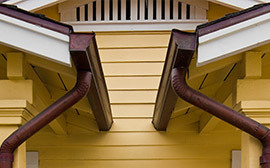 By offering much more than just your everyday gutter system, we give each one of our customers products that enhance the aesthetics of their home and truly do last for years. Gutters that are both stylish and functional: what more could you ask for? With more than 18 years of experience, Iron Horse GutterWorks strives to provide homeowners with top-of-the-line gutters and products, making home protection simple. Family owned and operated, we use the best materials and high-quality products, ensuring your satisfaction. 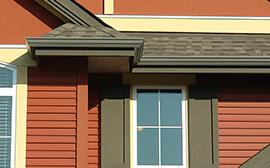 Offering a variety of gutter products, you can have exactly what you need. At Iron Horse GutterWorks, our professionally-trained experts take their time to ensure that you are happy with your results. Our goal is to always leave you beyond satisfied. © 2018 Marketing 360. Do Not Copy.